Bloodborne and Dark Souls share plenty of similar design theories, probably because both were developed by the same director, but a lot has been said about the main difference between the two. In Dark Souls, characters play defensively behind tough shields and bulky armor, taking hits and waiting for the perfect chance to strike. 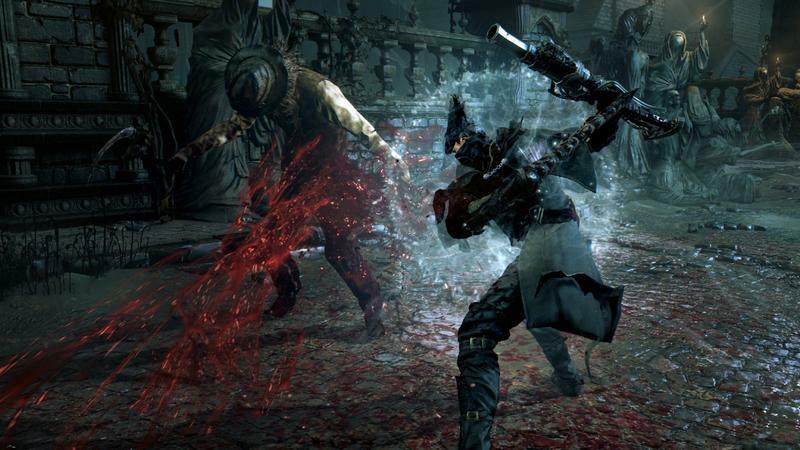 Bloodborne sticks to its title and is an all-out offensive blood bath. This ideology has been played up so much that many are wondering if our beast hunting sojourners will even have the ability to defend. Their armor is light, their moves are acrobatic. Do they even have the ability to hold a heavy piece of equipment like a shield? Apparently so, but it's not recommended that you trust them with your life. Sony Japan's Studio Producer Masaaki Yamagiwa has confirmed the ability to use a shield in Bloodborne in an interview with IGN, flatly stating "There are shields in the game." He emphasized though that they aren't to be relied on extensively because they are fragile and will do very little to save your hide. "We wanted to encourage players to not hide and wait, but instead be more aggressive and pro-active in battle." When I played Dark Souls, I often took on the role of a lightweight, back-stabbing rogue, a 100 percent offensive character who rarely need make use of a shield. My first hands-on experience with Bloodborne didn't seem all that different to me because this offensive emphasis was the norm for me. I didn't realize that so many people built characters designed to take hits. It's never been my style, and it might be a reason why I think I'll enjoy Bloodborne more than I did Dark Souls II. Bloodborne will be released exclusively for the PlayStation 4 on March 24.